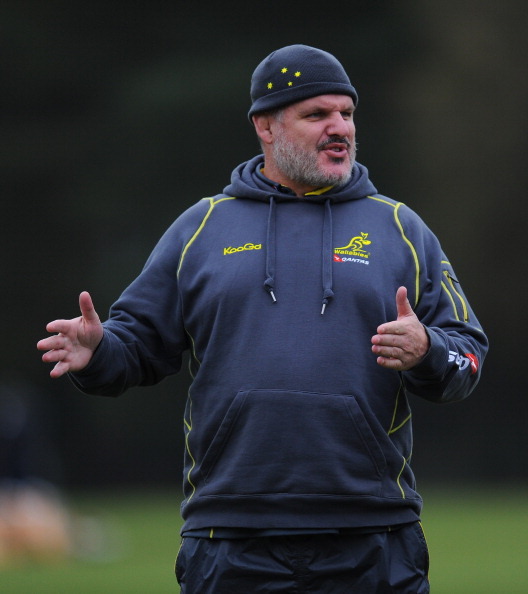 Ewen McKenzie and Warren Gatland were both at it during this week’s phoney war. Gatland has been ‘lying low’ of late but came out to assuage that the Autumn Tests were were only warm-ups for the Six Nations and his charges were ‘very confident’ of success. McKenzie took the bait, returning the volley with the assertion that Wallabies had the upper-hand psychologically and Wales were ‘worried’ about falling to a ninth consecutive loss. He went on to infer Gatland’s men had deep-seated insecurities over their opponents. The barbs are only to be expected. Both coaches were spiky front row men in their playing days and not given to taking a backward step. Expect more ‘dialogue’ between these two as the World Cup approaches. It was a gutsy move by McKenzie to reprimand fifteen squad members for an impromptu knees-up in which six players were given a one-game suspension after a late-night jaunt to the Krystle nightclub, Dublin, before the Ireland Test. He took a calculated risk his side would have enough class to down Scotland while the likes of Adam Ashley-Cooper, Benn Robinson, Tatafu Polota-Nau and Nick Cummins were on the naughty step .With quartet now reinstalled, you’d expect them to be looking to prove a point to their coach. McKenzie decided to stamp his authority on a squad who had previously erred on a regular basis, with disciplinary problems over booze and brawls. We will find out if the gamble worked just before 7pm on Saturday evening. 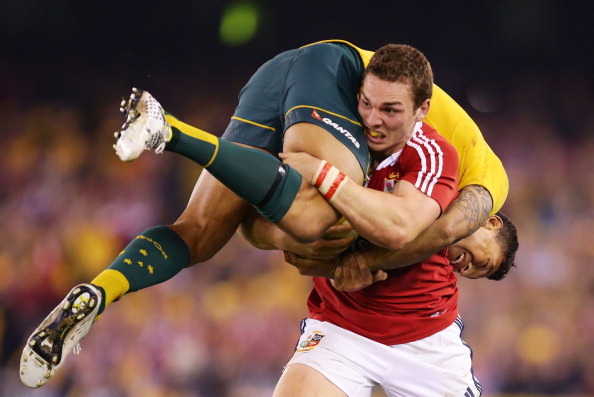 After an epic duel in the summer with the Lions, Israel Folau and George North are the jumb0-sized darlings of the rugby world. When North wasn’t blazing a trail to the tryline in the first Test or picking up his ‘Folau backpack’ in the second, it was Folau, a relative union novice, who was fast-proving to be the player the ARU could not afford to lose. Now installed at full-back, Folau already has nine tries in 14 Tests, is a devastating broken-field runner, superb operator in the air and a skilled offloader. Wales will do well to avoid kicking to him in space. As for North, he has had a mixed Autumn campaign but his match-winning quality is beyond doubt. This match-up has turned in some mini-classics in recent years, with Australia invariably having the last laugh. Only five points separate these sides in the last three Tests, and the last, 12 months ago at the Millennium Stadium, will have left deep mental scars for the Welsh players involved on the day, as a late, late Kurtley Beale score with 25 seconds left left them inconsolable. We’ll soon find out if winning the Lions series – seven of the Wales players who featured in the final Test line-up tomorrow evening – will give them the mental edge remains to be seen. It’s a moot point whether, if given the chance to wind back the clock, Kurtley Beale would have scored that match-winning try against Wales last December had he known the ramifications. The result dropped Wales down to ninth position, and thus out of the second-tier seedings for the World Cup. As we all know, that led to a genuine ‘group of death’ for 2015 in Pool A, with Australia and England. 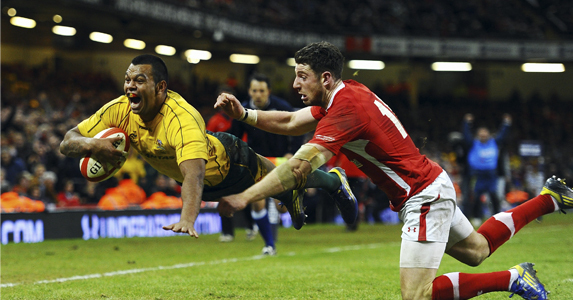 Australia are only expected to play Wales on one more occasion, next Autumn, before lining up against them on October 10th 2015, at Twickenham, so every possible advantage will be fought for.